Work for OpenText RightFax Fax Server? Learning about OpenText RightFax Fax Server? "RightFax Cloud based faxing has streamlined our workflows"
Reliable & Secure cloud based faxing solution. Delegation Management is difficult without purchasing an additional module which in my opinion, should be included in purchasing the RightFax product. Consider 3rd party cloud services like Sencore to use in conjunction with RightFax server as I have found it to be more reliable than the OpenText cloud service. Also consider sticking to v10.5 instead of going to 10.6 unless you need features that are not available in 10.5. Our 3rd party services support has steered us away from upgrading as they are seeing unreliability on the latest version. Exucom brings a wealth of knowledge to the implementation and support process and I highly recommend working with them to roll out your faxing solution. Eliminate legacy fax machines and associated costs for paper, ink and repairs. Streamline workflows by using APIs between RightFax and OnBase document imaging to associate medical documents with a patient's electronic medical record. "End-user experience as a RightFax User"
I absolutely love the ability to have a dedicated fax number that I can provide my clients and then have their faxes show up in my email inbox. This dramatically improves my workflow by minimizing the amount of time I have to walk to the fax machine multiple times per day to either send/receive a fax. I honestly can't think of anything I dislike about the RightFax program. It literally has been a game changer to my daily workflow. If you are looking for a product that will greatly improve one or more user's workflow, allowing electronic files to be faxed in/out and then accessed inside a program that they would have already had opened anyway (Microsoft Outlook) - then look no further. This is a stellar product that has had zero issues in our environment. it has delivered daily the best of results. Anytime I can improve the efficiency of my daily workflow, is a problem solved. "OpenText RightFax Fax Server Review"
The thing that I like best about OpenText RightFax is the ease of use that it gives our users the ability to send and receive faxes with their own dedicated fax lines. Everyone is familiar with creating and printing a document and RightFax makes it as easy as that. the only thing that I dislike about this product is the fax that I can't export all of my users in a nice usable XLS or CSV file. I would recommend this product for anyone that is looking to implement an enterprise faxing solution for the company. while there are many other companies out there, OpenText excels in giving the customers what they need when it comes to faxing capabilities. in the type of environment that we work in, we still deal with a lot of faxes, so this product has made it where the users don't have to get up and go get a physical piece of paper, instead it comes to their inbox in electronic format so they can continue to work in a much more focused way. "Full featured robust enterprise FAX server"
The only real concerns are that your VoIP administrator correctly knows how to route a FoIP call correctly to the fax server. Ease of implementation and high level of support. We have zero issues with the software. The implementation went smoothly and we have not had any outages. It does take some manual setup. However, the implementation was easy and there were multiple levels of support provided to step us through the setup process. The ability to host as many fax numbers as we want and the ability to get rid of our POTS lines. 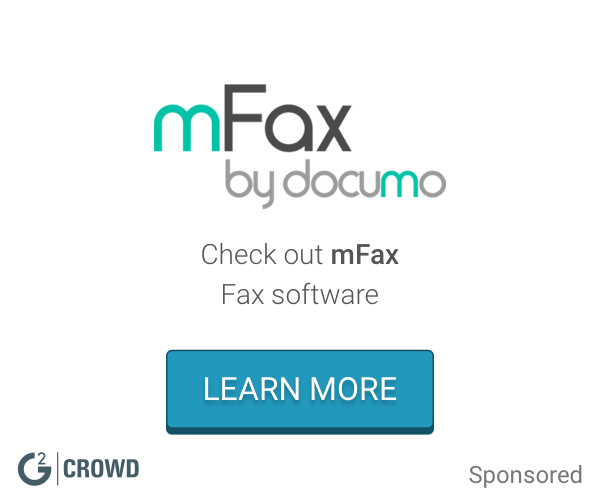 "Great tool for all faxing needs"
We love how well this product handles inbound and outbound faxes. It can convert faxes to a variety of forms. It can be used to provide users a web portal or desktop version of faxing. It seems rather sensitive to database disconnects. Rather than trying to just reconnect, it stay disconnected until you manually intervene. At least our version does. We are removing physical paper being printed and then faxed. It connects up with our EMR to fax from there all in digital formats.. I like that there are plenty of options to sort and classify faxes. It is easy to receive, view and send faxes. I wish there was an easier way to route a fax back to the original sender with a note. It would also be nice if there was a pop-up or some sort of indication when a new fax was received. If you'd like to eliminate a lot of paper waste at your company, I would highly recommend it! It has been a relief to not have to deal with paper faxes printing all the time! Now we can print what we want and control our paper output. The simplicity of clicking print and picking the RightFax printer is great. You no longer need to go to the fax machine, punch in the correct numbers and then hope it gets to the right place. With rightfax you can check to see what the status of the fax is throughout the whole process. There is not really anything I do no like about it. Sometimes I have to restart the print spooler on services to get it to go, but I believe that is an Windows issue. The ability to fax right from your desktop. Quick and easy. It is very user friendly and it makes faxing very easy. We can also add it to our large fax machine and we can fax right from there. It does not like to send faxes all the time, and will get conversion errors. It is very user friendly and makes faxing easy. Receiving the fax electronically is the best feature. that i like. Sending and receiving the fax electronically saves lot of time. Little complex to setup initially. Once it is setup, it is easy to use. This application made my document management easy. "Used for outbound electronical faxes"
I like the simplicity of the system. Allows for quick access. I do not like that it constantly times out during inactivity. It allows me to not have an actual facts machine which cuts down on hardware cost. I like that I can view faxes electronically and save as PDFs. This software is not intuitive for sending faxes out. Not wasting paper with this; I enjoy being able to access past faxes as well. What I like about it best is easy and user friendly. You can forward or redirect the fax without leaving the fax sheet. What I dislike about it is that for larger files/faxes at least in my case I can't save then I have to print them. I don't have to get up the go to the fax machine. If I need to send something I can just do it straight from my computer. "I enjoy using Rightfax. I love how it comes right to my email inbox." I like how the faxes I receive come right to my inbox. There is nothing I dislike about Rightfax. It makes my job much easier. "Best way to use fax out "
Have to be really care with installation. * We monitor all OpenText RightFax Fax Server reviews to prevent fraudulent reviews and keep review quality high. We do not post reviews by company employees or direct competitors. Validated reviews require the user to submit a screenshot of the product containing their user ID, in order to verify a user is an actual user of the product. Hi there! Are you looking to implement a solution like OpenText RightFax Fax Server?